A woman protests outside Parliament House EFE. 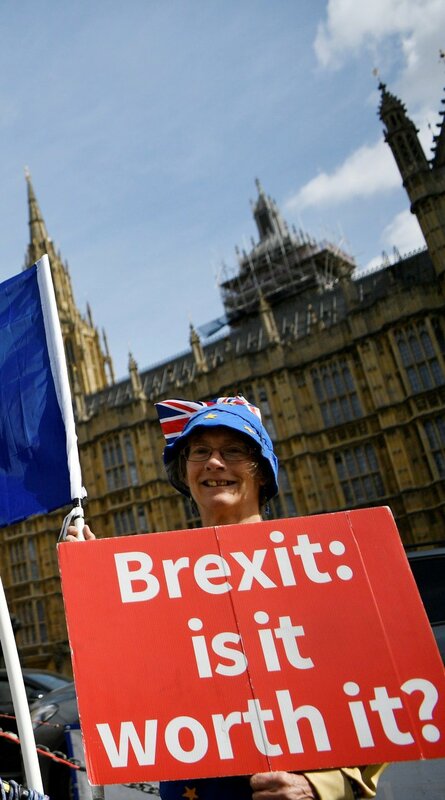 The Lord Mayor of London, Sadiq Khan, yesterday criticised the British government’s negotiation on Brexit and called for a second referendum on the departure of the UK the European Union. According Khan, with just six months until the deadline the UK faces two options, a “bad agreement” or “no agreement,” and says that the people should now take a second vote.